Welcome visitor you can login or create a new account. 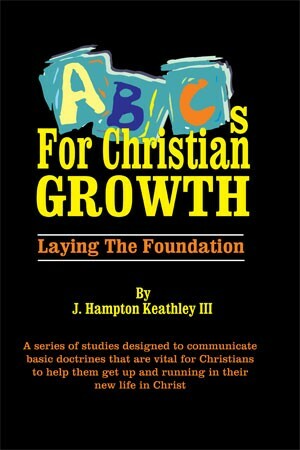 A series of studies designed to communicate basic doctrines that are vital for Christians to help them get up and running in their new life in Christ. Many new (as well as older) believers flounder in their Christian growth because they do not know these basic truths for walking with Christ through the Spirit of God and in the light of God’s Word. The goal is to lay the foundation for a walk by faith that will help believers in Christ begin to experience the glorious transforming power of the saving life of Christ through the Spirit of God. These studies focus on what believers have in Christ, their new identity or position, and how this must form the foundation for faith, growth, and spiritual transformation through Christ’s life being reproduced in their lives. ePub and Kindle ebook download.